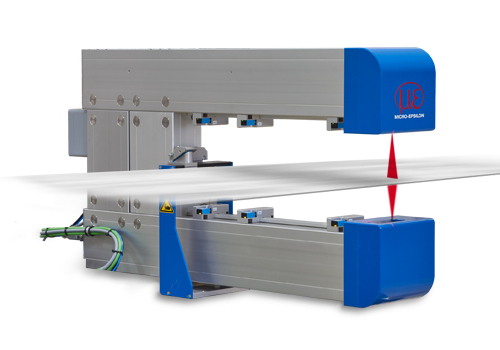 In rolling mills for heavy plate, the remarkable ratio between measuring range and precision comes into effect, which is achieved by using discrete laser line technology and by embedding a best-fit line into the point cloud of the sensors, which increases the resolution significantly. High linearity is achieved due to efficient signal processing. System measures the center thickness above each plate.